The Branch of David is a term used in the Old Testament to describe a decedent of King David. The Branch of David was also a popular concept in New Testament times. Even Roman governors understood that Jesus was the Branch of David. In Acts chapter 24 the Jewish religious leaders brought the apostle Paul to court in front of Felix the governor in Caesarea on the Mediterranean coast of Israel. A man named Tertullus was the spokesperson for Ananias the high priest. Tertullus accused Paul of being “of the sect of the Nazarenes”. The word translated Nazarene should rather be translated Netzerite. Netzer is a Hebrew word meaning descendant or branch. Netzerite means “people of the branch”. a shoot; figuratively, a descendant: – branch. 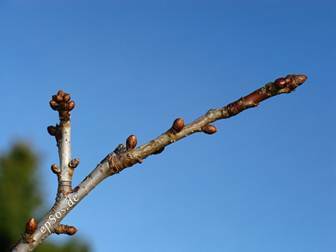 BRANCH is a prophetic name for the messiah. God promised that he would raise a descendant of King David to be ruler in Jerusalem over all the earth. So the messiah is the BRANCH of David. Jesus was the descendant or BRANCH of David. So when the apostle Paul was called a Netzerite in Acts 24:5 he was being called a follower of David’s descendant! Here is another verse where the word Nazarene actually means Netzerite or Branch. According to Matthew several Old Testament prophets said that the Messiah would be called a Nazarene. Problem is that nowhere in the Old Testament does it say that the Messiah will live in Nazareth. However several Old Testament prophets do say that he will be called THE BRANCH or netzer. As you can see from the Hebrew spelling these two words are very similar. You read Hebrew right to left. Netzer meaning branch is the root word of Nazareth. By living in Nazareth Jesus was called a Nazarene or Branch, thus fulfilling prophecy. In the Bible, there is one who is called “THE BRANCH”, who is it that the Jewish people believe this is, seines how, they don’t believe that Christ is the Messiah? Jews and Christians all agree that the BRANCH of David is a decedent of King David that will rule from Jerusalem forever. Both Jews and Christians agree that the BRANCH is the Messiah. Israel hasn’t fully realized yet that Jesus is the Messiah but one day soon the entire nation of Israel will honor Jesus as their redeemer. Hi, Mr. White: I am pleased to meet your acquaintance. 7. Who art thou, O great mountain? before Zerubbabel thou shalt become a plain: and he shall bring forth the headstone thereof with shoutings, crying, Grace, grace unto “it”. Do you know if, anyone knows what the “it” is? Hi Curtis: Zechariah 4 says a mouthful. Zerubbabel rebuilt the temple in Jerusalem after the Babylonians destroyed it in 586bc. Zerubbabel laid the cornerstone of the foundation. He also finished the temple some years later by placing the headstone. Here is something to think about. The temple represents God’s everlasting Kingdom. The laying of the temple cornerstone is symbolic of God’s authority. That is to say that by the power of God the kingdom will be founded and established. The candlestick of Gold is Jesus Christ the Messiah. The two olive trees are God the Father and God the Holy Spirit. By their authority and power God’s (Jesus) everlasting kingdom on earth will be established. The seven lamps are seven angels of God who travel about earth doing God’ work. They are mentioned in Revelation as the angels of the churches. The 7 angels are also mentioned elsewhere in the bible. Since the laying of the cornerstone represents the beginning of God’s establishment of his everlasting kingdom on earth; then the placing of the headstone represents the completion of God’s kingdom; Which is the day that Jesus Christ takes his place on his throne in Jerusalem. Just as Zerubbabel began and finished the building of the temple in Jerusalem. God by his power will begin and finish building his kingdom. Mountains in bible prophecy represent world empires. In verse 7 the great mountain represents two things. First it represents the Persian empire that was against the rebuilding of the temple in Zerubbabel’s day. Second, the mountain represents the final gentile world empire that will be in place at Jesus second coming. In both cases God is showing his higher authority over world powers. In both cases God will establish his earthly kingdom! In verse 7 “it” refers to the headstone that Zerubbabel will place on the top of the temple. “It” represents Jesus Christ’s coronation as king of earth in Jerusalem. I will attend the ceremony will you? Zec 4:1-14 And the angel that talked with me came again, and waked me, as a man that is wakened out of his sleep, 2 And said unto me, What seest thou? And I said, I have looked, and behold a candlestick all of gold, with a bowl upon the top of it, and his seven lamps thereon, and seven pipes to the seven lamps, which are upon the top thereof: 3 And two olive trees by it, one upon the right side of the bowl, and the other upon the left side thereof. 4 So I answered and spake to the angel that talked with me, saying, What are these, my lord? 5 Then the angel that talked with me answered and said unto me, Knowest thou not what these be? And I said, No, my lord. 6 Then he answered and spake unto me, saying, This is the word of the LORD unto Zerubbabel, saying, Not by might, nor by power, but by my spirit, saith the LORD of hosts. 7 Who art thou, O great mountain? before Zerubbabel thou shalt become a plain: and he shall bring forth the headstone thereof with shoutings, crying, Grace, grace unto it. 8 Moreover the word of the LORD came unto me, saying, 9 The hands of Zerubbabel have laid the foundation of this house; his hands shall also finish it; and thou shalt know that the LORD of hosts hath sent me unto you. 10 For who hath despised the day of small things? for they shall rejoice, and shall see the plummet in the hand of Zerubbabel with those seven; they are the eyes of the LORD, which run to and fro through the whole earth. 11 Then answered I, and said unto him, What are these two olive trees upon the right side of the candlestick and upon the left side thereof? 12 And I answered again, and said unto him, What be these two olive branches which through the two golden pipes empty the golden oil out of themselves? 13 And he answered me and said, Knowest thou not what these be? And I said, No, my lord. 14 Then said he, These are the two anointed ones, that stand by the Lord of the whole earth. You asked me, “I will attend the ceremony will you?” The answer is, YES!!! “Hi Curtis: Zechariah 4 says a mouthful.” And that’s “just” Zechariah 4. “Zerubbabel laid the cornerstone of the foundation.” And, he will do it again! Who is the (“a”) stranger spoke of here? And if he were to pray to you, would you do according to all that the stranger calleth to thee for? Because, the nearest I got it figured, he’s going to play a key roll in the rebuilding of the Third Temple. And the reestablishing of God’s authority here on earth. 1Kings 8 is King Solomon’s prayer at the dedication of the first temple. Solomon is asking God to hear the prayers of the Jews in time of trouble, and for God to judge between right and wrong in Israel. Solomon asks God to hear their prayers when they pray facing the temple, and when they pray in the temple. In 1Kings 8:41 Solomon is asking God to hear the prayers of non-Jewish people who seek God. The strangers are not builders. The strangers are you and me. 1Ki 8:41-43 Moreover concerning a stranger, that is not of thy people Israel, but cometh out of a far country for thy name’s sake; 42 (For they shall hear of thy great name, and of thy strong hand, and of thy stretched out arm;) when he shall come and pray toward this house; 43 Hear thou in heaven thy dwelling place, and do according to all that the stranger calleth to thee for: that all people of the earth may know thy name, to fear thee, as do thy people Israel; and that they may know that this house, which I have builded, is called by thy name. Are you a Jew? A simple “Yes or No” will do. Hi Curtis: No I am not Jewish. Are you Jewish? Yes I am, and here’s how. 28. A person is not a Jew because of his appearance, nor is circumcision a matter of how the body looks. 29. But “he is a Jew, which is one inwardly;” and circumcision is that of the heart, in the spirit, and not in the letter; whose praise is not of men, but of God. I am Jewish, through the circumcision of the heart. You want to be Jewish too? Then invite him into your heart. He’s at the door waiting to come in. Just knock, and the door will open. And he “will” come in, and sup with you. As he does with me. CCW? Is that, Counter Clock Wise? Just trying to add a little humor!!! 40. That they may “”fear”” thee all the days that they live in the land which thou gavest unto our fathers. 41, 42 and 43 have already been mentioned. And then 44 and 45. Solomon is not just asking God. He is also re-sighting, re-sighting promises God made too his father, David. And, he is at the same time, re-sighting prophesy given too his father, David, by God. We can confirm this by doing a comparison between I Kings 8:41 and II Chronicles 6:32. Verse 41 of Kings reads, …”but cometh”… This is in the future tense. And verse 23 of II Chronicles reads, …”but “is” come”… This is in the present tense. While these verses are speaking of any and all, they are also speaking of a very special person i.e. The Stranger. As in, “Moreover “concerning” a stranger”… (look-up the definition of “concern” and “concerning” in your Webster”s) A man sent from God. If you think I am in error or that I am a liar, then feel free to just set on the fence, and watch. Although it may take a little bit longer to find God’s people. I take great comfort in his word, because I know, his words are true. And I know, he keeps his promises. And don’t you also know, that, without faith, it is, impossible to please God? How strong is yours? There are many things I would like to discuss with you, and others. But, in the public domain, is the wrong venue. See I Timothy 5:1 and 19 It is when you see and understand, just what “it” is that this “stranger” brings to the table. It is then, you will understand why it says, …”and do according to all that the stranger calleth to the for”… And, as always, God’s speed!!! Netzer, the root word of Nazareth is of some great importance to me. My mother’s maiden name was Netzer. Her father’s first name was Michael. Could it be that I am of Jewish heritage and a descendant of David? You may be from Nazareth.